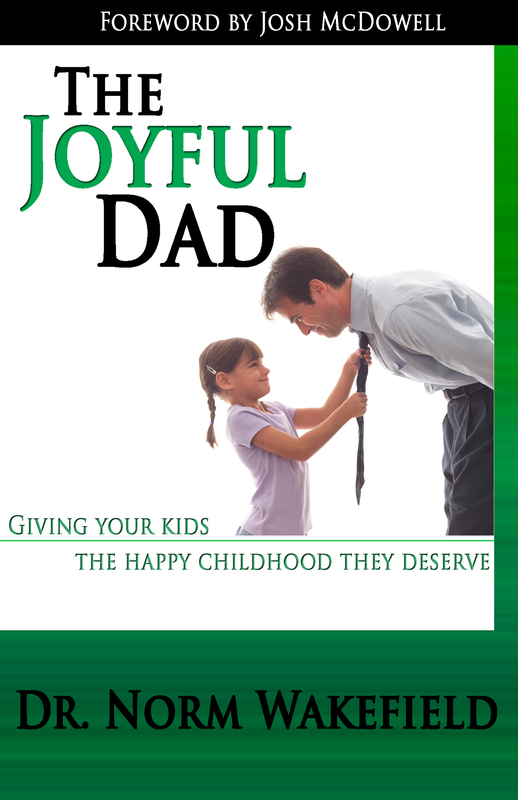 "An invaluable resource for becoming a better dad." Fathers impact the world every day—right from within their own families. Imagine how our world would change if dads planted the gift of joy into the childhood memories of their kids! It's these memories that our boys and girls will cherish when they are men and women. • experience personally the happiness that come from creating a family legacy of joy. For young fathers, old fathers, step-fathers, grandfathers, uncles, and any other men who serve as father figures in the lives of children. "I have known Norm Wakefield for many years. He has become a role model to me. His profound insights into being a father after God's own heart have guided me through these many years. But more importantly, Norm doesn't just speak the truth; he lives the truth. 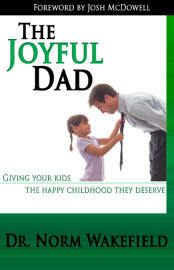 You will find The Joyful Dad to be an invaluable resource for becoming a better dad." Dr. Norm Wakefield is a former pastor and author of many books including, You Can Have a Happier Family, The Dad Difference, and A Christian's Guide to Loving Relationships. He's also a father of five adoring children, and much-loved grandfather to eight more kids.